If you are planning a trip to Kodiak, we have added several handy links to our website to help with planning your trip. You can find this page on our Visitor Information tab under “Handy Links”. 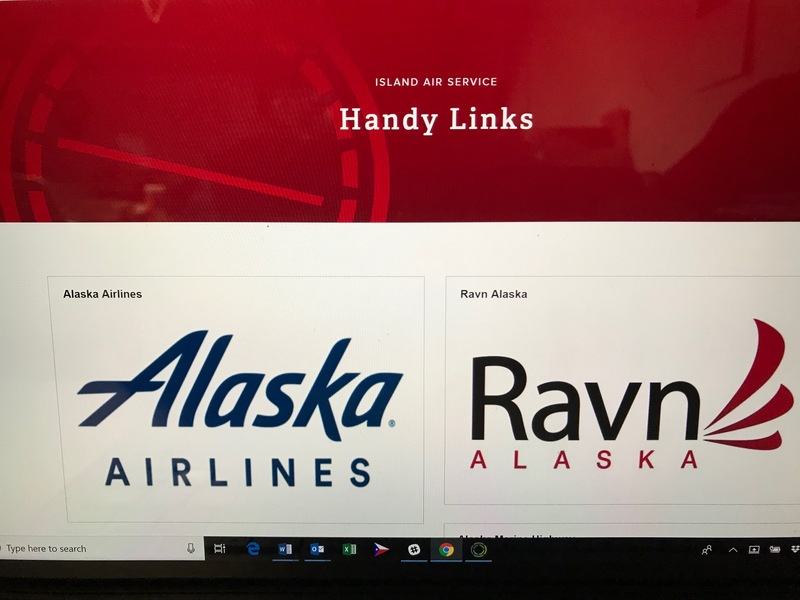 This new page provides direct links to airlines, hotels, restaurants and other businesses that provide services to visitors to our Island. On the same tab, you can find links to the many lodges that are on our island and a few on the Alaska Peninsula. Island Air Service recently was recognized as the Best Air Service in a recent Kodiak Daily Mirror poll. We know that our core business is providing safe and reliable air transportation to Kodiak’s villages and remote locations. We also know that access to information is key to helping our customers with their travel arrangements. We hope you enjoy this new page and as always, appreciate your feedback on how we can improve or better deliver information and customer service to our valued Kodiak customers.